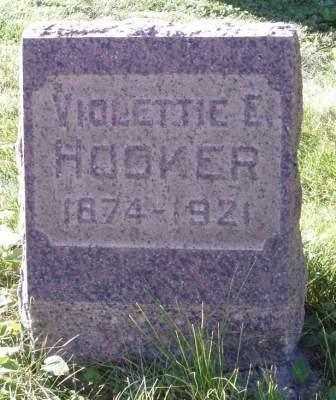 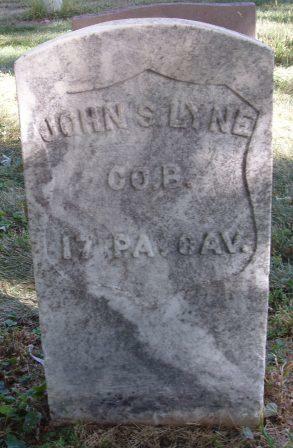 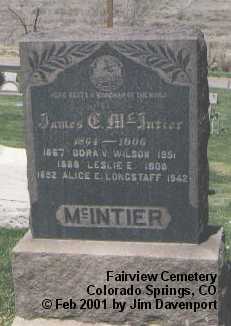 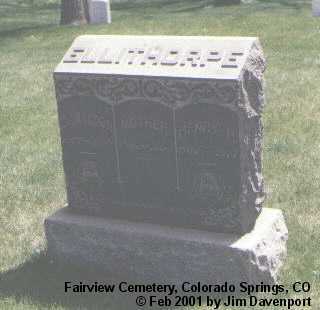 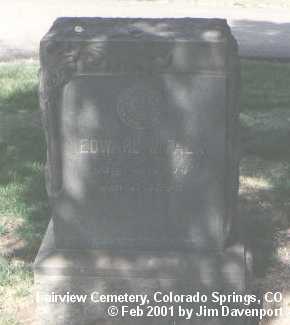 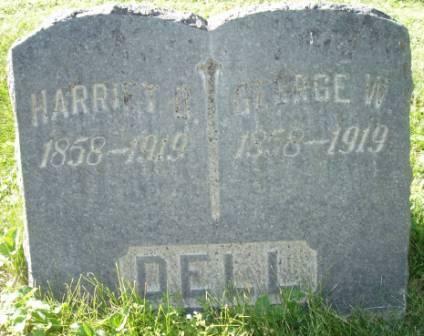 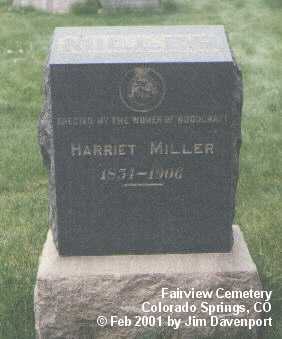 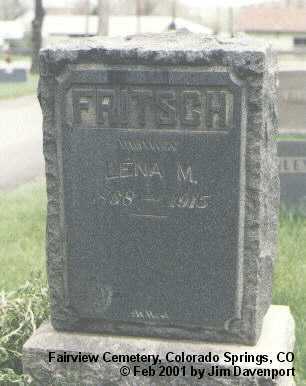 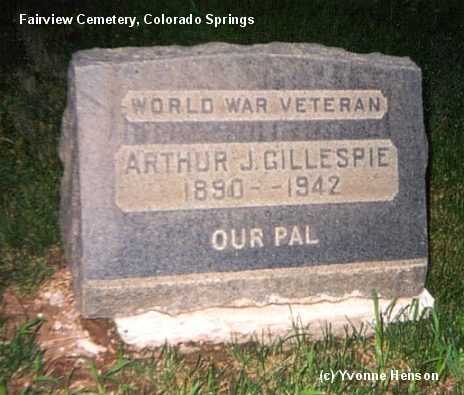 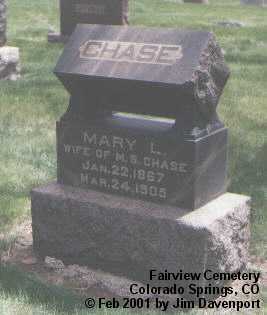 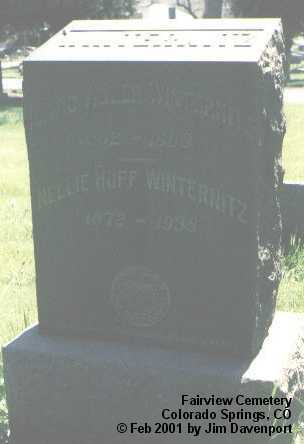 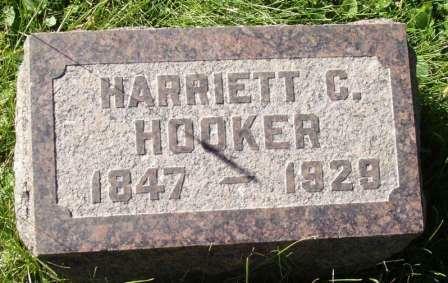 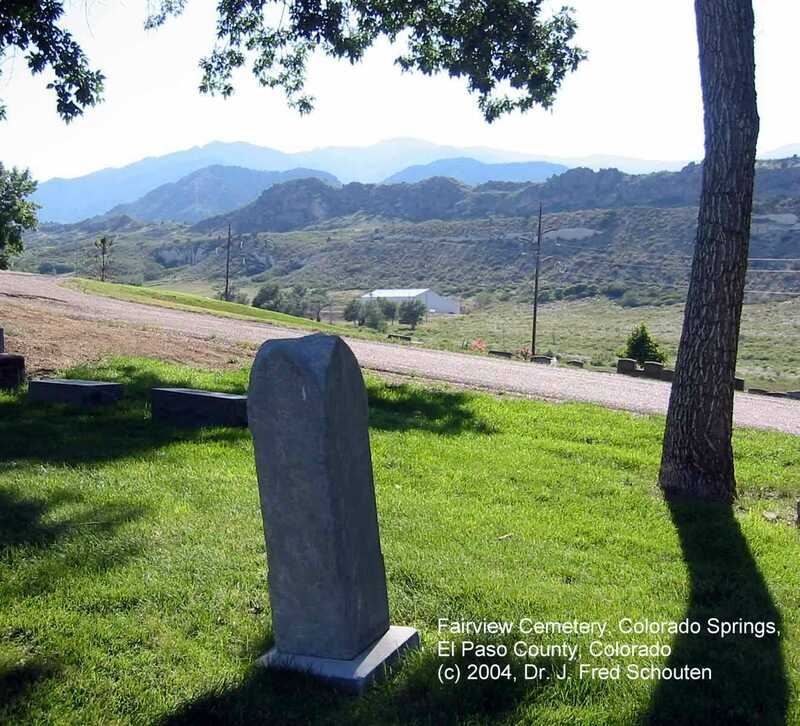 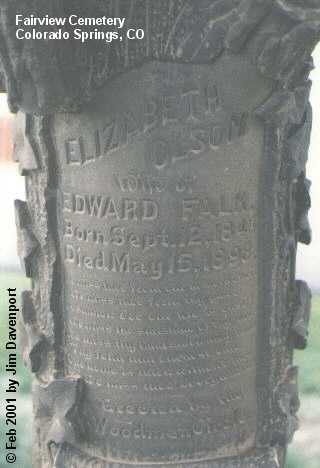 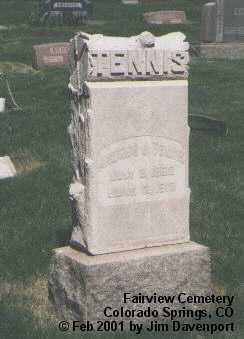 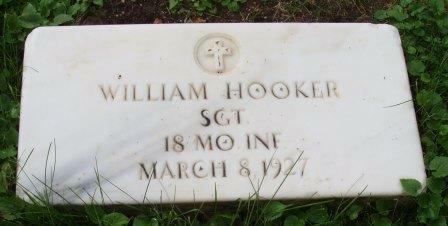 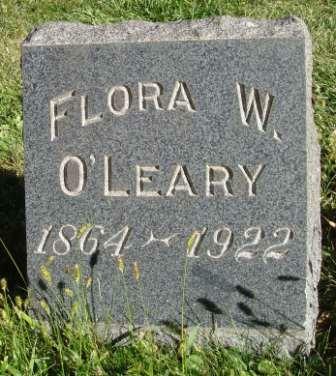 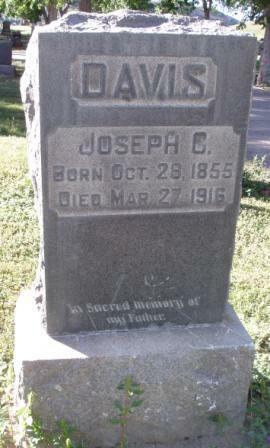 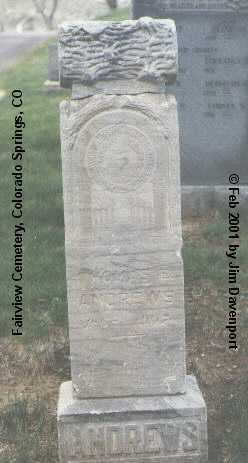 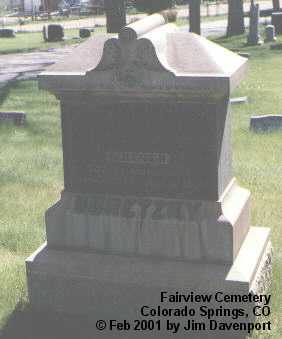 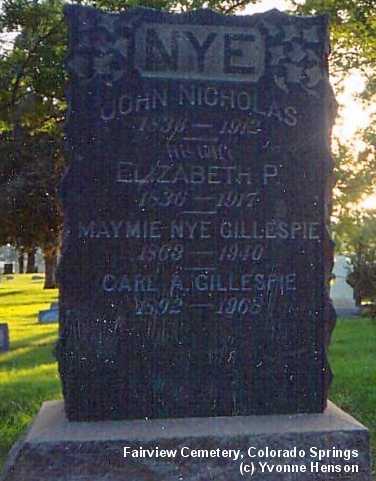 The cemetery is located at 1000 South 26th Street, Colorado Springs, CO 80904; phone (719) 578-6638. 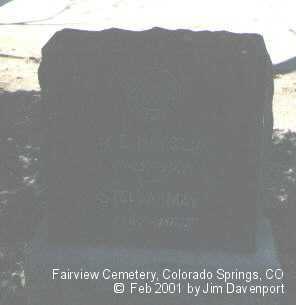 An index of burials can be found at COGenWeb Project El Paso County Archives. 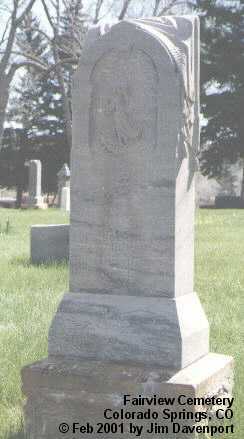 Morris, Joseph Simpson, 15 Apr 1867 - 23 Jun 1901, [Block: A02 Plot: 129], (jfs).